John Reese settled Genoa, the oldest town in Nevada, in 1851. Within the main town square, you’ll find Mormon Station State Historic Park, the Courthouse Museum of Genoa, and the Oldest Bar in Nevada . . . still a popular watering hole to this day. Within easy walking distance of any of the lodging establishments are boutique stores and shops, a general store, a winery, and restaurants, as well as an art gallery – all within the quiet, peaceful small town that is Genoa. 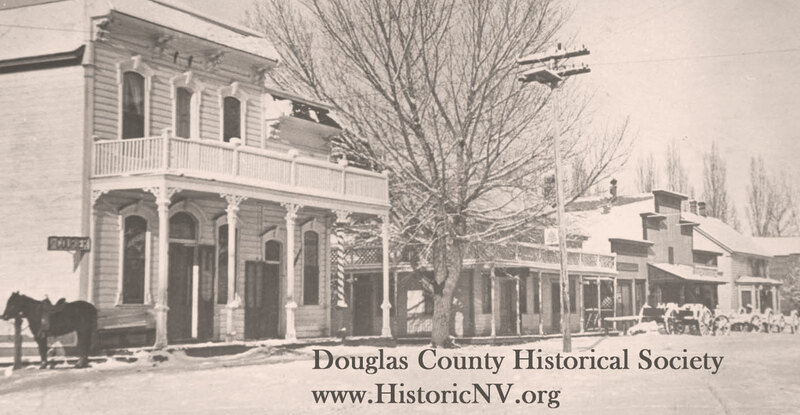 Gardnerville got its start in 1879, when Lawrence Gilman purchased the Kent House and had it moved from its location south of Genoa to a seven-acre parcel of land on the east fork of the Carson River. There, near the site of what is today the J.T. Basque Bar and Dining Room, the building was converted to a hotel. A blacksmith shop and saloon were added. The hotel was the center of the hay- and grain-producing community that became Gardnerville, named for Gilman’s friend John Gardner. H.F. Dangberg, Jr. established Minden in 1905 to fulfill his vision of a European-style planned community designed around a town square (Minden Park). Minden was named after a German town near the birthplace of Dangberg’s father, H.F. Dangberg, Sr., a pioneer in Carson Valley and founder of the Dangberg Land and Livestock Company. The V&T Railroad’s extension of a rail line to Carson Valley, with Minden as the terminus, was key to Dangberg’s plans for the town’s future. The railroad spurred the growth of Carson Valley into a hub of agriculture. Located in the heart of Douglas County, Nevada, Carson Valley has changed from a small farming community to one of the fastest-growing areas in Nevada. Check out our blog and resource links to find more about the region’s colorful and varied history. H.F. Dangberg brought the Virginia & Truckee Railroad to Minden. The heart of downtown Minden. Parade floats along Esmeralda Avenue in Minden, 1945-55. Mormon Station State Park in Genoa. Mormon Station was the first permanent settlement in Nevada. ‘Snowshoe Thomson’ carried mail over the Sierra’s for three winters.